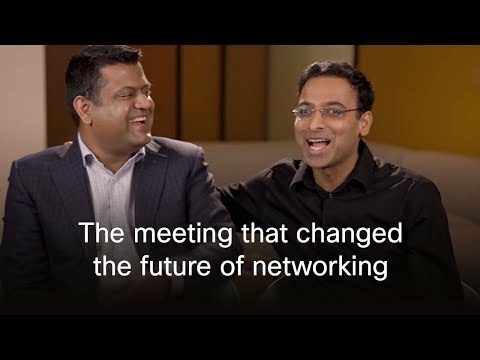 Cisco employees inspire the next wave of innovators. Girls Power Tech is a Cisco Global Mentoring initiative. It is aligned with the 6th annual United Nations International Girls in ICT Day. ICT stands for information and communication technologies. More young women are encouraged to seek a career in this growing field. Girls Power Tech will take place at 104 Cisco offices around the world. The initiative reaches 61 countries and involves more than 2,000 Cisco employee volunteers. Events will encourage students to pursue careers in ICT and the Internet of Things. Students will also be mentored by Cisco employees. At the San Jose event, students were gifted flashy stars. Each girl was encouraged to say one thing they loved about themselves. Girls were also able to interact with Ava 500, Cisco's resident robot. Ava 500 made its way around the room to greet the students and girls were encouraged to take pictures for social media. Participants were able to use the 3D printer that was on site. Cisco's CEO Chuck Robbins stopped by to chat with the girls. CFO Kelly Kramer also stopped by to give wise words to the students. A panel of Cisco's female leaders led a discussion on teamwork. Students were also broken off into teams for an IoT challenge. Each team was equipped with knowledge from a Cisco volunteer. When meeting with mentors, students were prompted to ask about high school, college, and careers. Mentors asked the girls where they saw themselves in ten years. Girls revolved around the room, allowing multiple mentors to speak with many students. After the mentorship time was over, both students and mentors took the time to talk about the experience. 180 San Jose Cisco employees volunteered to inspire the girls and expose them to the world of IoT. During the last activity of the day in San Jose, the girls received handmade 3D printed rings from Shraddha Chaplot, the event's emcee.